There are two spelling systems used for the Jamaican language below. The first, which I call ‘prapa-prapa’, is the specialist phonetic system designed by the linguist Frederic Cassidy. It has been slightly amended by the Jamaican Language Unit at the University of the West Indies, Mona. 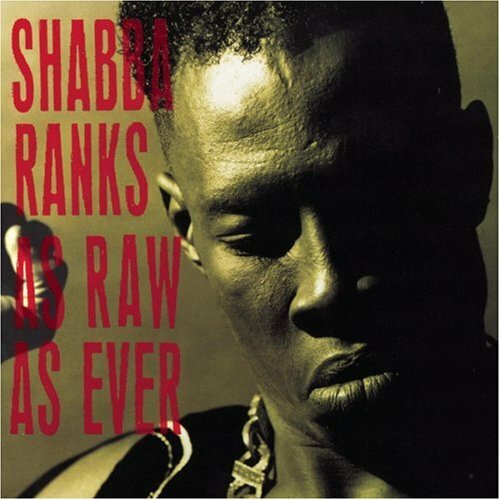 The second, ‘chaka-chaka’, is based on English spelling. After the two Jamaican versions, there’s an English translation. 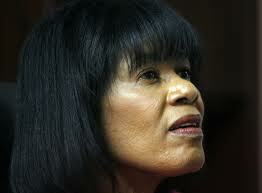 Chávez dopi bierli riich evn an im disaid fi lef kom luk fi Sista P. Im a no wan a dem man we lov logzyuri. Im naa go waahn liv no ai laif op a evn, a waak pan ruod mek outa guol, an a sing an daans an plie aap, an a jrink milk an oni, an im wel nuo se nof piipl pan ort naa notn fi hiit an jrink. An no bada taak bout patuol! Aal inna Jamieka. No, sa! Chávez a wan a di wan-an-fyuu palitishan wid kanshens. A it mek im dopi disaid fi flai doun kom taak tu Sista P. Ier we im tel ar se. Querida Portia, mi glad fi si yu kom a mi fineral. Rispek dyuu! Bai di wie, yu fi taak tu di Prezident a yu Senet. Im no redi. Mi no laik ou im dis di Jostis Minista. Bot dat a wan neks tuori. Yu don nuo mi lov Jamieka. Luk ou mi gi unu wan gud-gud diil pan di ail. So yu wuda a fi kom a mi fineral fi sen mi aaf inna stail. Bot so moch a unu? Wa mek yu antaraaj so big an braad, Sista P? Yu a gwaan laik se yu a wan a dem bran niem DJ. A we unu get di moni fi di uol a unu kom magl a mi fineral? 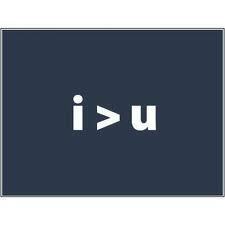 Mi ongl uop a no Ouzn Chos. Beg yu tel Peter Phillips fi tek im an outa puor piipl pakit! Ouzn Chos moni a fi bil ous fi puor piipl. A no fi bil op bojit. If di bojit pap doun, Peter a fi go fain wan neks wie fi kach it op. Mi a waan unu. Wa staat bad a maanin kyaahn kom gud a iivnin. Fram unu staat nyam out Ouzn Chos moni, tingz a go go fram bad tu wos tu wosara. Wa a go apm wen it don? Mi nuo se IMF a kwiiz unu nek. Bot a fi unu faalt. 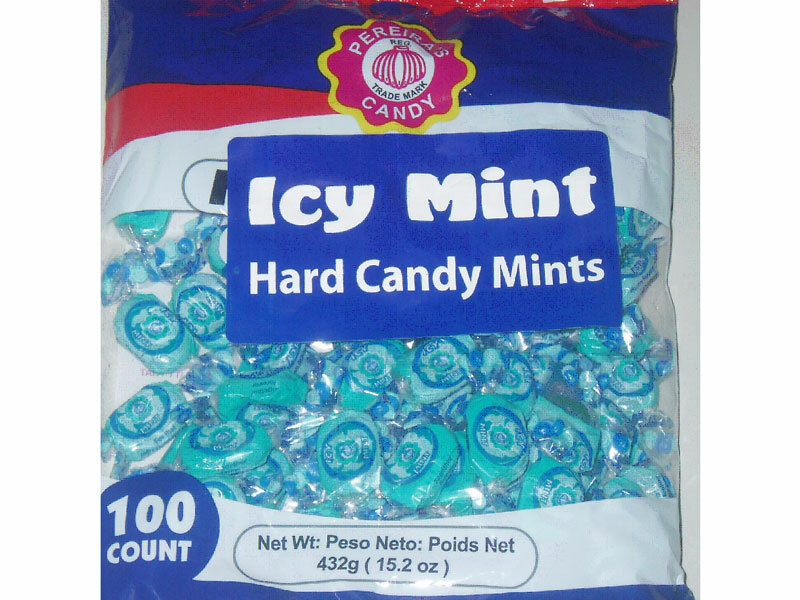 Wa mek unu gaan go rap op bak wid dem? Luk ou lang Michael Manley shuo wi se wi ha fi lef dem out! 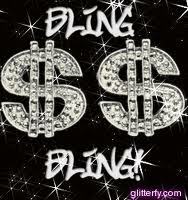 Sista P, yu neva wach Stephanie Black flim, Life and Debt? Lisn mi! Wen yu ier wat Michael Manley se inna dat de flim, yu wuda nuo se Jamieka supuoz fi waak faar fram IMF. Yu nuo di big prablem wid Jamieka? Unu ches tuu ai; an unu yai tuu big. Unu a gwaan laik se unu a wash doun wid ail laka Venezuela an Trinidad an Tobago. An iivn den. Wa mek so moch farin fuud inna suupamaakit? Wa rang wid Jamieka fuud? Unu mout gluobal; an unu moni luokal. An it kyaahn wok, Sista P. Unu a fi wiil an kom agen. Mi naa se unu fi gu bak tu di aad life inna di sevntiz. Bot unu mos kyahn fain a wie fi liv pan di likl moni unu a mek. Yu don nuo, mi an di American dem no plaahn no gungo a lain. 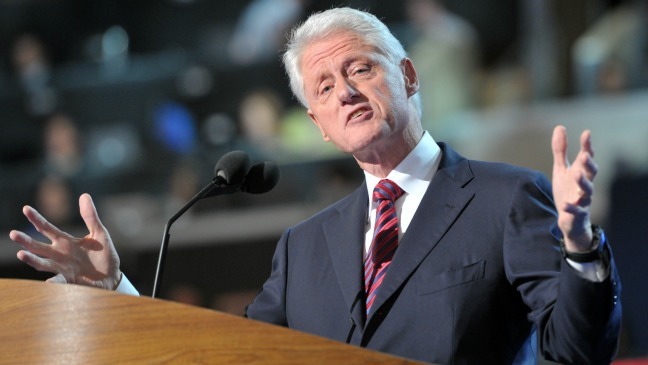 Bot mi a fi agrii wid Bill Clinton: “It’s arithmetic”. A no suo-so palitiks. Chávez duppy barely reach heaven an im decide fi lef come look fi Sista P. Im a no one a dem man weh love luxury. Im naa go waan live no high life up a heaven, a walk pon road mek outa gold, an a sing an dance an play harp, an a drink milk an honey, an im well know seh nuff people pon earth naa notn fi eat an drink. An no bodder talk bout pothole! All inna Jamaica. No, sah! 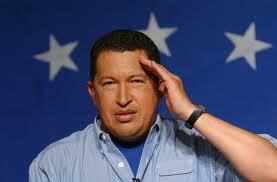 Chávez a one a di one-an-few politician wid conscience. A it mek im duppy decide fi fly down come talk to Sista P. Hear weh im tell har seh. Querida Portia, mi glad fi see yu come a mi finaral. Rispek due! By di way, yu fi talk to di President a yu Senate. Im no ready. 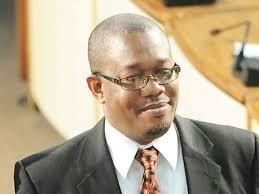 Mi no like how im diss di Justice Minister. But dat a one next story. Yu done know mi love Jamaica. 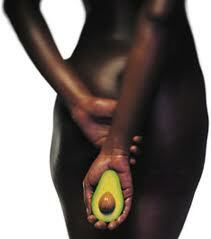 Look how mi gi unu one good-good deal pon di oil. So yu woulda ha fi come a mi fineral fi send mi off inna style. But so much a unu? Weh mek yu entourage so big an broad, Sista P? Yu a gwaan like seh yu a one a dem brand name DJ. A weh unu get di money fi di whole a unu come moggle a mi finaral? Mi ongle hope a no Housing Trust. 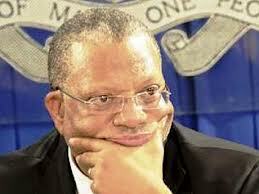 Beg yu tell Peter Phillips fi tek im hand outa poor people pocket! Housing Trust money a fi build house fi poor people. A no fi build up budget. If di budget pop down, Peter ha fi go find one next way fi cotch it up. Mi a warn unu. Wa start bad a mornin kyaan come good a evening. From unu start nyam out Housing Trust money, tings a go go from bad to worse to worserer. Wa a go happen wen it done? Mi know seh IMF a squeeze unu neck. But a fi unu fault. Weh mek unu gone go wrap up back wid dem? Look how long Michael Manley show wi seh wi ha fi lef dem out! Sista P, yu never watch Stephanie Black flim, Life and Debt? Listen mi! When yu hear wat Michael Manley seh inna dat deh flim, yu woulda know seh Jamaica suppose fi walk far from IMF. Yu know di big problem wid Jamaica? Unu chest too high; an unu yai too big. Unu a gwaan like seh unu a wash down wid oil laka Venezuela an Trindad an Tobago. An even den. Wa mek so much farin food inna supermarket? Wa wrong wid Jamaica food? Unu mouth global; an unu money local. An it kyaahn work, Sista P. Unu ha fi wheel an come again. Mi naa seh unu fi go back to di hard life inna di seventies. But unu must kyah find a way fi live pon di lickle money unu a mek. Yu done know, me an di American dem no plant no gungo a line. 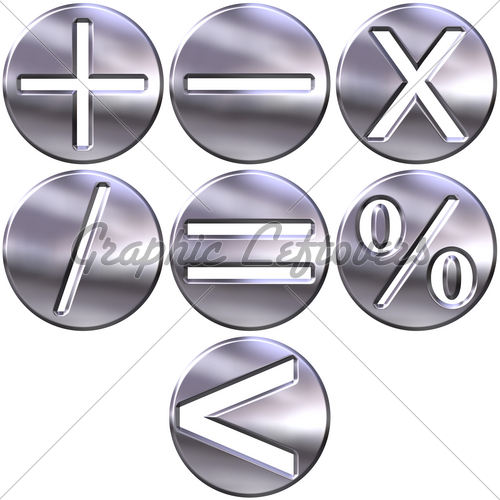 But mi ha fi agree wid Bill Clinton: “It’s arithmetic”. A no so-so politics. Chávez had only just got to heaven when he decided to leave and visit Sister P. He’s not one of those men who love luxury. He wouldn’t want to live on easy street, walking on gold, singing and dancing and playing the harp and drinking milk and honey, knowing full well that there are so many starving people on earth. And don’t even talk about potholes! Especially in Jamaica. Not at all! 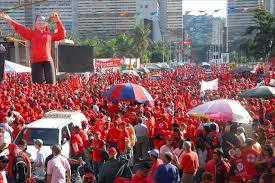 Chávez is one of the small number of politicians with a conscience. So that’s why he decided to come back to earth to talk to Sister P. This is what he told her. Querida Portia, I was so glad to see you at my funeral. Rispek due! By the way, you should have a word with the President of your Senate. He’s not on top of things. I didn’t like the way he dissed the Justice Minister. But that’s another story. You know I really love Jamaica. That’s why I gave you such a good deal on the oil. So you would have had to come to my funeral to send me off in style. But so many of you? Why was your entourage so huge, Sister P? You’re behaving as if you’re one of those brand name DJs. Where did you get the money for so many of you to come and profile at my funeral? I only hope it wasn’t from the Housing Trust. Please tell Peter Phillips to take his hand out of poor people’s pocket! Housing Trust funds are to be used to build houses for poor people. Not to build up the budget. If the budget isn’t viable, Peter will have to find another way to prop it up. 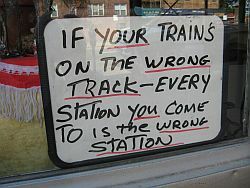 I’m warning you: if you go down the wrong track, it’s hard to get back on course. Once you start plundering the resources of the Housing Trust, things will go from bad to worse. What will happen when it’s all eaten up? I know that the IMF has you by the throat. But it’s your fault. Why have you gotten mixed up with them again? So long ago Michael Manley showed us that we should avoid them! Sister P, didn’t you watch Stephanie Black’s film, Life and Debt? I tell you. When you listen to what Michael Manley said in that film, you would know that Jamaica should have nothing to do with the IMF. You know what’s Jamaica’s big problem? You all are much too vain and greedy. You’re behaving as if you have huge oil reserves like Venezuela and Trindad and Tobago. 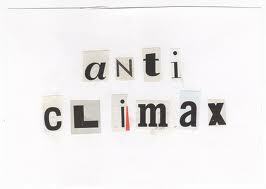 And even so. Why is there so much imported food in your supermarkets? What’s wrong with Jamaican food? 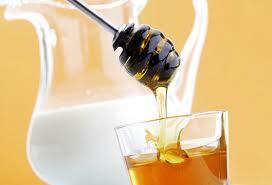 Your taste is global; and your currency is local. And that can’t work, Sister P. You have to go back to the drawing board. I’m not saying you should return to the hard times of the seventies. But you must be able to find a way to live within your means, however meagre. You very well know that the Americans and I don’t see eye to eye. 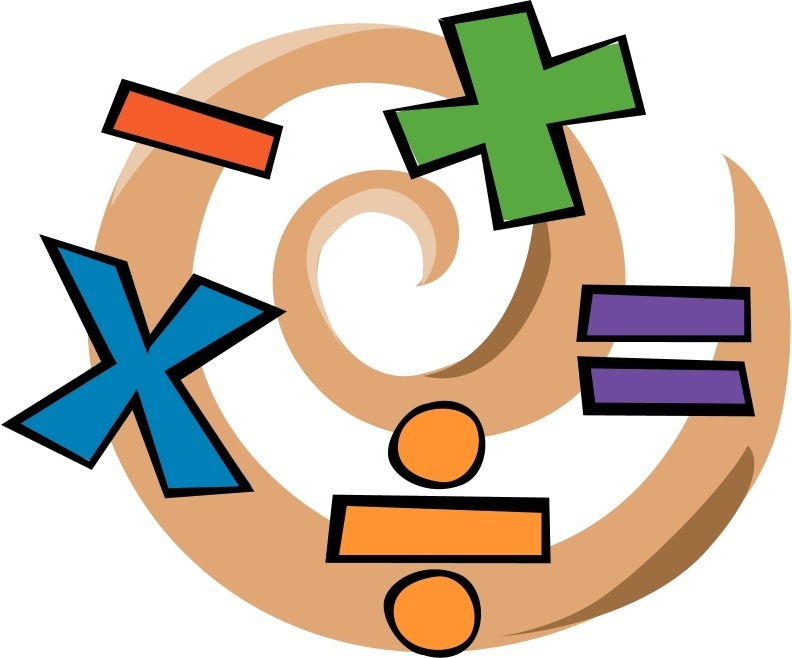 But I have to agree with Bill Clinton: “It’s arithmetic”. It’s not just politics. 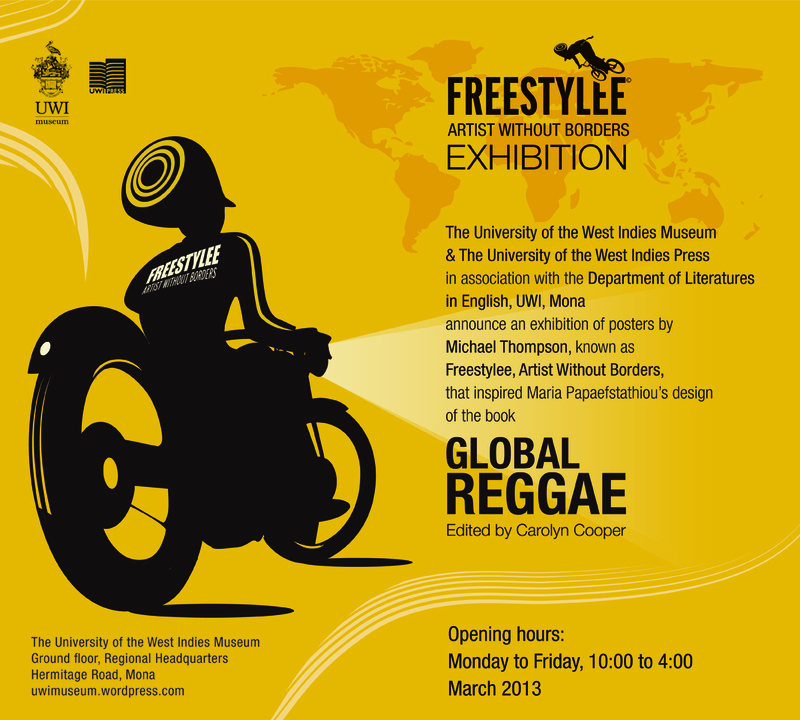 Michael ‘Freestylee’ Thompson’s reggae posters inspired the design of the Global Reggae book which was recently published by the University of the West Indies Press. As editor of the book, I suggested to the Director of the Press, Mrs. Linda Speth, that we needed a funky image for the cover. She agreed and I went searching on the Internet. Maria did a brilliant job incorporating other posters by Michael into the design of the book, especially for the chapter headings. 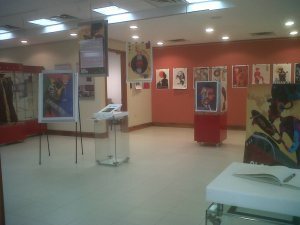 These posters are now on show for the month of March at the University of the West Indies Museum in the Regional Headquarters, Hermitage Road, Mona. Opening Hours are Monday to Friday, 10:00 to 4:00. Admission is free. Patwa Step Up Inna Life! I suppose Mr. Lofters was being sarcastic. But the very thought that he might possibly have been sending a serious message to the Gleaner’s Opinion Page Editor sent waves of pleasure rushing through my being. Here was a man after my own heart who was up for creativity; a man with a lofty vision of what my mother tongue could do. Mr. Lofters seemed to be celebrating the unlimited potential of the Jamaican language as a tool of communication worthy of the Sunday Gleaner’s editorial page. However much my brain was stimulated by the thought of submitting to Mr. Lofters’ seductive proposition, I knew it was all anti-climactic. My hands were tied. Four months ago, Mr. Lofters didn’t stand a chance in hell of having his ‘dream’ come true. I wasn’t allowed to write a whole column in Jamaican. I was restricted to one paragraph per week. 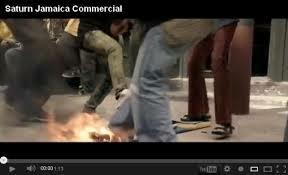 Then along came that VW Super Bowl ad! And in a moment, in the twinkling of an eye, everything changed. The playing field is almost level. I’ve now been given ‘permission’ to write one column per month in Jamaican. From one paragraph to a ‘whole-a’ column! ‘Wat a sinting! 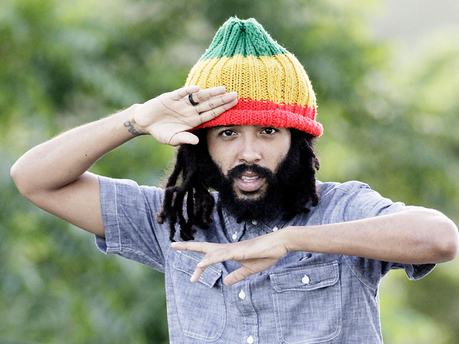 Patwa step up inna life’. It’s an experiment that will run for five months. If readers approve, I may even be able to write a ‘proper-proper’ bilingual column once again: one week in English, the other in Jamaican, as I did for the Observer in the 1990s. It wasn’t easy to get the conservative editors of that juvenile newspaper to agree. Youthfulness is no guarantee of creativity; and old age is no guarantee of wisdom. They don’t know that speakers of a language can make it do anything they want. It’s not the language that’s doing the thinking. And if you need technical vocabulary for new concepts, you simply make it up or ‘borrow’ from another language, the way speakers of English do all the time. Still for all, I’m never going to give up writing in English. 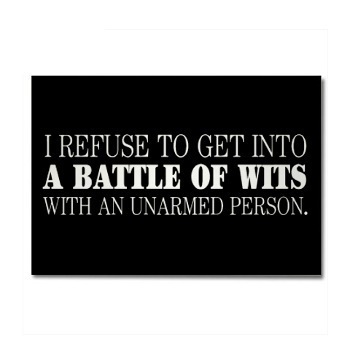 I just love the quirkiness of the language. I think of English as the world’s greatest patois. Its vocabulary is a tasty stew of basic Anglo-Saxon words and a host of borrowings from other languages such as Greek, Latin, Old Norman, French, Arabic, Hindi, Japanese, Yoruba, Twi, Maori, Yiddish and, these days, even Jamaican! 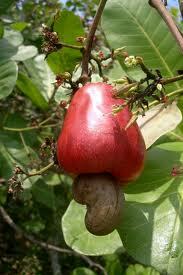 Interestingly, the word ‘cashew’ entered the English language via Jamaica. The story of this word and lots of others is told by the linguist Frederic Cassidy in his most entertaining and informative book, Jamaica Talk: Three Hundred Years of the English Language in Jamaica. Of course, there were other languages in Jamaica over the centuries. The ‘mix up an blenda’ produced strange new words. So ‘cashew’ comes from French ‘acajou’, from Portuguese ‘acaju’, from Tupi Indian ‘acajú’. According to Cassidy, the Oxford English Dictionary “first cites the word from 1703, but it was borrowed at least forty-five years before that time. In The State of Jamaica (dated post 1660), we find ‘Cashues’ in a list of fruits along with ‘supotillia, advocatas, custard apples’ and others”. Once you understand the arbitrariness of language, it becomes much easier to accept variation as part of the natural flow of things. So when a Jamaican speaker pronounces ‘cashew’ as ‘kyáshu’ or ‘kúshu’, this is certainly not ‘bad English’. Especially since ‘cashew’ isn’t English at all. Cassidy also notes that the dropping off of the ‘a’ from ‘acajou’ “appears to be a part of the original adoption”. So Jamaicans are responsible for cashew losing its head. Native speakers of English are often not hooked on ‘correctness’ in the way that up-tight, second-language learners often are. They actually experiment with their mother tongue, making it do all sorts of interesting things. Words like ‘bling’ and ‘diss’ have found their way into English not just as slang, but as ‘respectable’ new vocabulary, heard on the BBC. The big problem with writing a column in Jamaican is the mindset of many potential readers. I’m always amazed at the way some people say with apparent pride, “Mi just kyaan read Patwa”. As though this is a sign of congenital superiority. But many Jamaicans routinely read and write in our mother tongue. We just don’t seem to be conscious of what we’re doing. Or we don’t want to admit it. We send text messages in ‘Patwa’ all the time. And think of all those Jamaican jokes that circulate on the Internet. There’s a standard writing system for the Jamaican language that was developed almost fifty years ago. But it has not been widely taught in school. That’s not surprising. Our school system really doesn’t take seriously the mother tongue of most Jamaicans. Well, better late than never. Starting next week, I’ll be using the official writing system along with a ‘chaka-chaka’ version. Adventurous readers will get a chance to learn the ‘prapa-prapa sistim’. 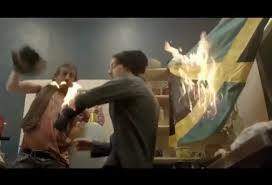 Those German men in that inflammatory Saturn ad should have had a fire extinguisher in their tiny kitchen. Even if the Jamaican flag did ‘catch a fire’ like the Bob Marley and the Wailers album, there would have been no need to take it to the streets. The fire could have been extinguished immediately, and an international incident would have been averted. Our Ministry of Foreign Affairs wouldn’t have had to issue a statement on the improper use of the Jamaican flag, including an appeal to the appliance manufacturer to “repair this most unfortunate breach”. Olivia ‘Babsy’ Grange, JLP spokesperson on culture, wouldn’t have needed to call on Prime Minister Portia Simpson Miller to take up the matter at the highest diplomatic levels. All of the fuss over the ad is a classic example of life imitating art, or, more accurately, artifice. The real-life protest mirrors the outrage of the masses of ‘Germaican’ fans in the fictitious drama who invest cultural capital in our flag and what it represents: a nation of people who excel in all sorts of fields. And beyond all reasonable expectations! 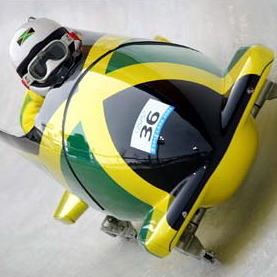 How could Jamaicans really think we could compete internationally at winter sports? Quite easily! Bobsledding is no big deal. We have a history of go-kart racing. Freestyle skiing? ‘A no nutten dat!’ Errol Kerr certainly carried our flag with grand style at the 2010 Winter Olympics. The high visibility of the Jamaican flag on the world stage, particularly at the Olympics, both summer and winter, is the very reason it was selected for ‘desecration’ in the Saturn ad. Which other nation’s flag would have excited that extreme response? Cynics will argue that our flag was abused in order to cut Jamaicans down to size. They’ve missed the point. The protestors in the ad can be forgiven for their righteous anger. They don’t know the whole story. Viewers of the ad have no excuse. They know that the real culprit is a defective coffee machine. That’s what caused the fire. It forced the endangered men to turn a private matter into a most public affair. Their cramped living quarters could not contain the fire so they end up trampling the Jamaican flag in a full view of surveillance cameras. The burning flag becomes national news. A female news anchor announces, “Our top story today: rioting on streets, as burning Jamaican flag leads to country-wide protests.” A diplomat in an international setting declares, “We all love Jamaica. These people are burning the Jamaican flag!” A baffled journalist at the scene of the ‘crime’ asks, “The question is: why all this hatred?” Of course, it’s not hatred at all. It’s admiration. Though I’m quite willing to concede that the Saturn ad was well intentioned, I must admit that I do find it troubling. The burning flag is the least of the issues. The average Jamaican is not going to go out on any demonstration because the national flag got burnt accidentally. I suspect that most of us watching that Saturn ad would just kiss our teeth and ask how come ‘di eedyat man dem never throw lickle water pon di flag an out di fire inna di kitchen, an no tek it outa road’. What struck me most forcibly was the way in which the Jamaican flag got caught up in a specifically European culture of political violence. ‘How we get mix up into dat?’ When a black man is interviewed on the street, his immediate response to the crime is retaliation: “If they burn our flag, I’m going to burn theirs”. It’s now a racialised hate crime. Despite the apparent affirmation of the power of Jamaican identity as represented by the flag, the Saturn ad seems to be feeding on fears of foreign culture. Ellen and Pete argue that German folk music had been taken over by the Nazis and so was discredited. 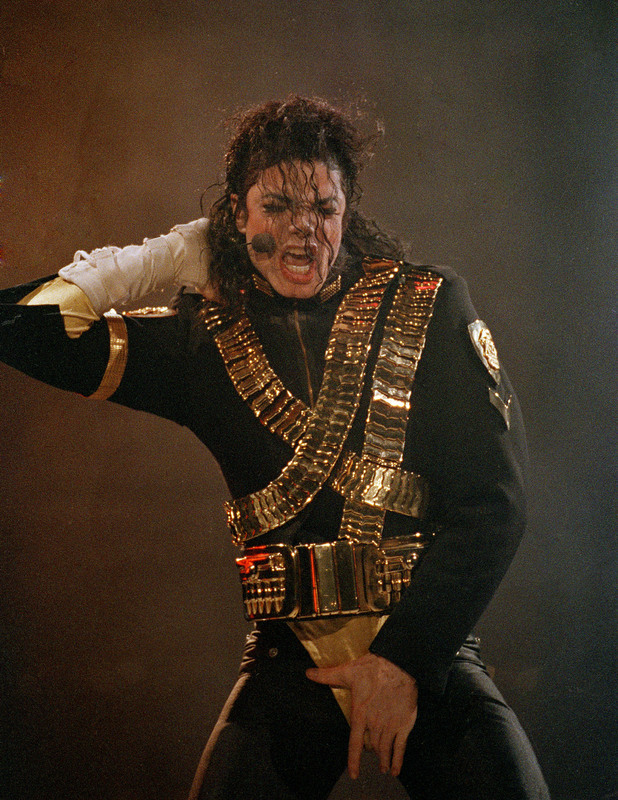 This music could not, therefore, be embraced as the source of modern pop songs. So German youth tuned into the music of Britain and the United States to find a language to express their ‘post-Holocaust’ identity. 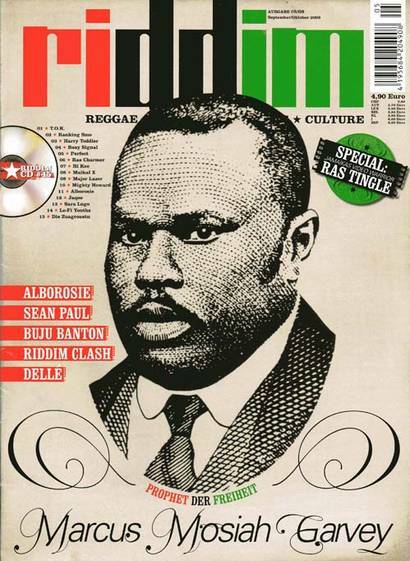 Then they discovered Bob Marley who embodied the spirit of rebellion against ‘ism and schism’. So the Jamaican flag and the reggae sound track of the Saturn ad are both signs of German identification with a ‘cool’ culture. But why “Murderer”? 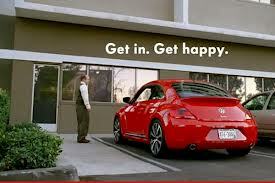 I much prefer the ‘get in and get happy’ vibe of the VW Super Bowl ad. Both ads celebrate German technology. But the scenes of social chaos in the Saturn ad are problematic. The image of Jamaica is tainted by association with street violence. When the new coffee machine goes on and the only flames are in the street, the voice of authority declares, “The world needs better technology. Saturn: that’s what technology should be all about”. But the ad is not all about that. Bowing to the demands of literal-minded fanatics, protocol experts, humourless viewers, incompetent readers of signs etc. etc., the electronics company has done the decent thing. It has pulled the ad. 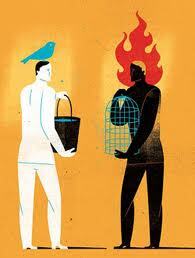 But the flames of dissent have not been entirely doused. If Saturn doesn’t already do so, it needs to start manufacturing extinguishers. For all sorts of fire!